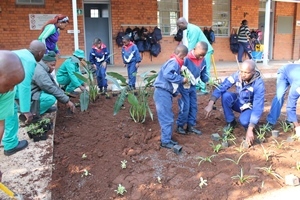 The Garden-based Schools Programme offers environmental education lessons on biodiversity, ecology, climate change, sustainability, etc., to learners from grade R to grade 12. All the lessons are linked to the National Curriculum Statement and are facilitated by our trained Assistant Environmental Education Officers. Our lessons are offered in English and/ or isiZulu depending on the learners’ medium of instruction and the educators’ language preferences. 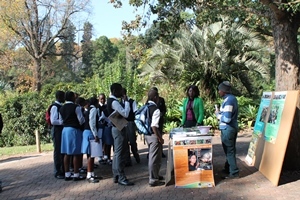 As part of the garden-based school programme, a Biodiversity Careers Expo, where learners are given the opportunity to explore careers in the biodiversity field, is hosted by the education centre once every year, usually in February. 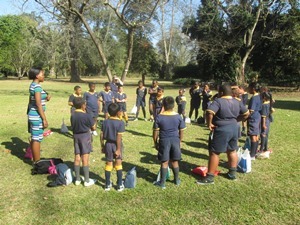 Environmental education lessons are also offered to out-of-school youth and community members on biodiversity conservation, indigenous garden development and climate change under the community outreach programme. The lessons are offered in IsiZulu or English. Lessons are offered both in the Garden and where beneficiaries are based. The education centre is always exploring new ways to better its services for the benefit of learners and the community. One way we are doing this is by teaching learners and members of local communities how to evaluate the quality of the river water in their communities through MiniSass. 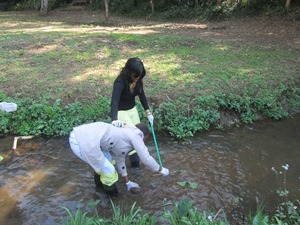 The MiniSass method can be used by any non-technical person to monitor the health of a river. The education centre is the ideal environment to learn about this exciting method. Schools are encouraged to take this multi-sensory learning opportunity and experience edutainment and the beauty of outdoor learning. Schools are requested to contact Lizeka Gqumani or Dr. Jabulani Mpungoseto book lessons at least one week in advance.